Bat Cleaner, one of the best optimization tools with space cleaner and Memory Boost, helps keep your phone clean and save battery life. Bat Cleaner also free up space and RAM to improve your phone's performance. Make phones run smoother than ever, like they're brand new as well. 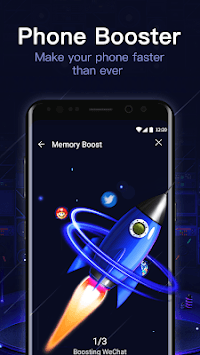 >Phone Booster: Boost applications that are running in the background and clean up your RAM (memory) to boost up your device's performances with one tap. 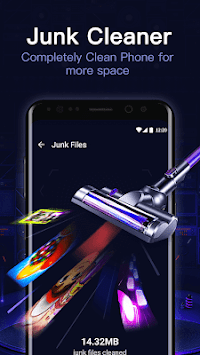 > Junk Clean: Clean all types of junk files (photo junk, system junk, cache junk, and residual junk), clean privacy records (Clipboard history), clean apk files and clean running apps, which will optimize and speed your phone's RAM (memory) and free up more storage. >Power Booster: Boost and hibernate auto-restarted apps to free up more memory. 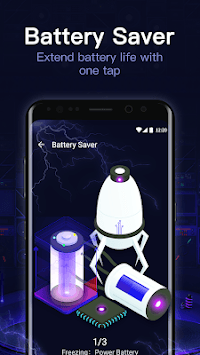 >Battery Saver: Bat Cleaner quickly scans your mobile, check the power consumption of apps and settings, and save battery for your device effectively. >Notification cleaner: Clean unnecessary and annoying notifications on your notification bar, stop your phone from slowdown caused by disturbing and trash notifications. >App Manager: Clean and uninstall unnecessary apps and APK files to free up more phone storage. >CPU Cooler: Minimizes CPU temperature and enhances performance,Bat Cleaner can disable unnecessary apps as many as possible, in this way, Cleaner save the battery. >Similar Photo: Get rid of duplicate & similar looking images. >Video Manager: Manage and clean videos easily. >Clipboard Manager: Log clipboard history to reuse or delete.